Last week was the start of the CH Marine Autumn Series. We were faced with a very unsure forecast, showing gusts of up to 30knots from the west. This did not leave much option for the RO’s, but to set up their stalls inside the harbour. 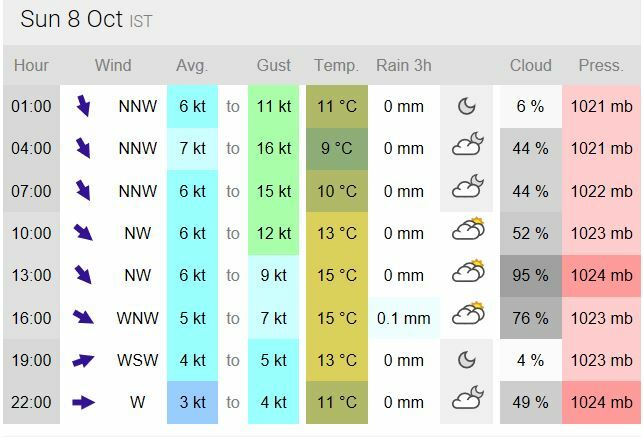 Thankfully this forecast did not materialise and we had a lovely sunny day with 10 – 15 knots from the west and all fleets got a full book of races in by 1430. This year for the CH Marine Autumn Series we had 52 boats paid and entered, which is 6 boats up on last year. 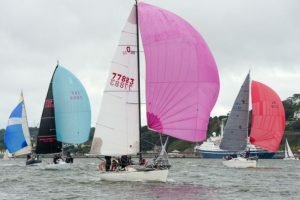 This broke down to, Class one 8 boats, class two 9 boats, class three 7 boats, Sportsboat class 10 boats, WhiteSail one 5 boats and WhiteSail two 13 boats. Its is very interesting to see that while all other classes are shrinking the WhiteSail class continues to grow, this seems to be a common trend across the country and maybe a result of the difficulty in getting crew. With the above crew issue in mind, ICRA launched two very good programmes this year and last year, Cruiser racing training and Crew Point, both of which our club fully availed of. If you are part of the Keelboats WhatsApp group in our club, you will have seen many new crews been offered on this platform and this is a result of using crew point on the club’s website. Also last week you would have seen Northsails on the water with cameras, drones and all sorts of gadgetry, they were filming the racing, so that after sailing we could all sit down and learn from what they had to tell us about the way people sailed that day. This debrief was a great success with standing room only and will be on again next week focusing on Class three and WhiteSail and some footage from other classes. Check out the Clubs Facebook page to see a short video by Isla Media, the company working with Northsails to do the videos and professional editing. The following point (20.3) in the SI’s will be amended to read as follows.